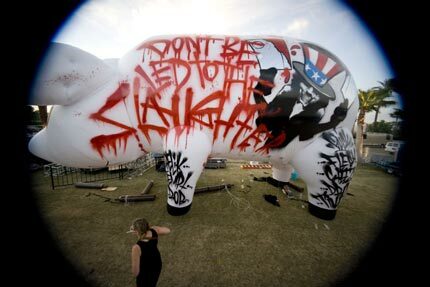 The remains of Roger Waters’ political pig have been found in California – three days after the animal flew away during the Coachella Festival. 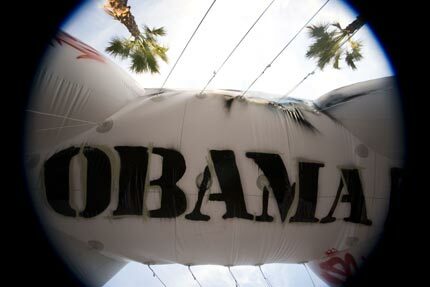 Pieces of the inflatable pig, which featured a pro-Barack Obama message, were found by two families on their driveways in La Quinta. It’s understood that the $10,000 reward put forward by organisers will be split between the two households. 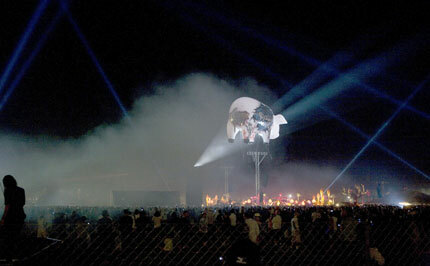 The pig, which was the width of two double-decker buses, escaped from its ties as Waters played Pink Floyd’s ‘Pigs’ during his headlining performance at the festival (April 27th). 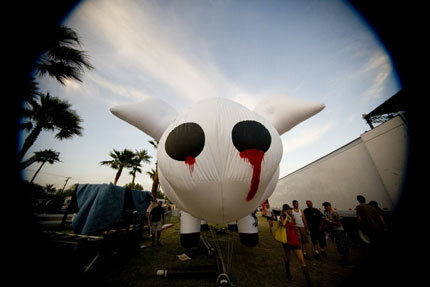 In addition to the financial reward, the families will receive four life long tickets to the Coachella Festival.